PT Bank Tabungan Negara (Persero) Tbk - Bank BTN (hereinafter referred to as "PT Bank BTN (Persero) Tbk, IDX:BBTN) is a reputable Indonesian state-owned bank with strong business focus on mortgage loans. PT Bank BTN (Persero) Tbk is recognized as the market leader in the mortgage loans sector in Indonesia. PT Bank BTN (Persero) Tbk controls about 28.4% of the Indonesian mortgage loans market. According to Bank BTN's Analyst Meeting - Business & Financial Performances (as of 3Q2015, ended in 30 September 2015) as cited by JobsCDC.com, PT Bank BTN (Persero) Tbk registered total mortgage loans of Rp 117.91 trillion as at the end of 3Q2015 or equivalent with 89.61% of total Bank BTN's loans. These mortgage loans figures refleced an 20.39% increased from Rp 97.94 trillion at the same period previous year. PT Bank BTN (Persero) Tbk is based in Jakarta and has a total of 857 working units as at the end of September 2015. Its working units comprising of 3 regional offices, 65 branches, 223 sub branches, 479 cash outlets, 50 sharia outlets, 37 priority outlets. 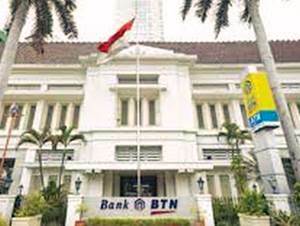 PT Bank BTN (Persero) Tbk also supported by 2,951 Post Offices, and 1,830 ATMs. In term of financial performance, PT Bank BTN (Persero) Tbk has recorded a good performance in 3Q2015. Referring to its Analyst Meeting, PT Bank BTN (Persero) Tbk successfully closed 3Q2015 period with an 16.58% increase in total assets to reach Rp166.04 trillion. Total net profit as at the end of 3Q2015 increased by 61.80% (yoy) to Rp1.22 trillion. Indonesian Citizen (WNI), Male or Female. Maximum age of 37 years old. Graduated from S1 or S2 in any field. Have minimum 5 years experience in banking industry. Have minimum 2 years experience in the field of retail funding marketing. Have a wide customer base networking. Attractive appearance and good personality. Does not have a nuclear family relations (father, mother, brother and sister) with the employee of Bank BTN. Legalized copies of diploma and transcript. Regional Office I - Gedung Bank BTN Bekasi lt 4, Jl Jend Sudirman No 19 Bekasi 17143. Regional Office II - Jl Raya Bukit Darmo No 123-125 Surabaya 60241. Regional Office III - Jl Sudirman Komp Sudirman City Square No A 10 -11 Pekanbaru. Regional Office IV - Jl Sultan Hasanudin No 1 Makassar. Bank BTN KC Banjarmasin, Makassar, Medan, Padang, Palembang, Semarang and Surabaya : 19 - 29 January 2016 opened at 09.00 - 15.00 local time (acceptance of the application only on weekdays). Jakarta : 1 - 3 February 2016 opened at 8.30 - 15.00 Jakarta time. JobsCDC.com now available on android device. Download now on Google Play here. Please be aware of recruitment fraud. The entire stage of this selection process is free of charge. PT Bank Tabungan Negara (Persero) Tbk - Recruitment S1, S2 COH BTN February 2016 will never ask for fees or upfront payments for any purposes during the recruitment process such as transportation and accommodation.